You don’t have to know someone for a lifetime for them to change your life. I first met Morgan my freshman year of high school, and we also attended the same college during our freshman year. Morgan was one of the happiest, strongest, kindest people I knew. Still to this day, I haven’t met anyone with the same zest for life that she had. I don’t think I ever will. 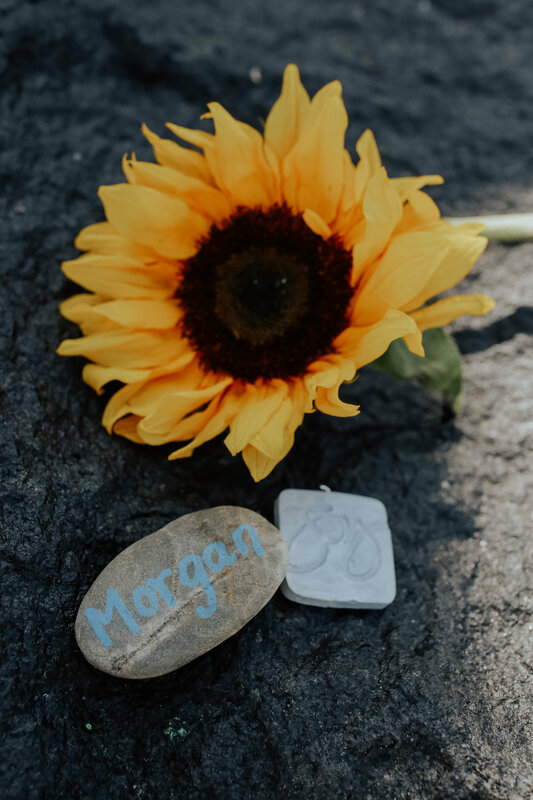 Morgan will always be a reminder to choose joy and live life to the fullest - to appreciate life’s triumphs and trials, to live with an open heart, and to remember that the people in your life are what matters most. No matter how hard I try, or how long I stare at my computer trying to formulate the right thing to say, I won’t be able to articulate just who Morgan was or how much of an impact she has had on so many people, so please keep reading for her story through her mom’s eyes. When trying to describe Morgan and her life in a few short paragraphs, I had no idea where to begin. Do I describe the physical and emotional struggles faced by Morgan? Do I explain the amazing, thoughtful, and courageous way she lived out her years with Leukemia? 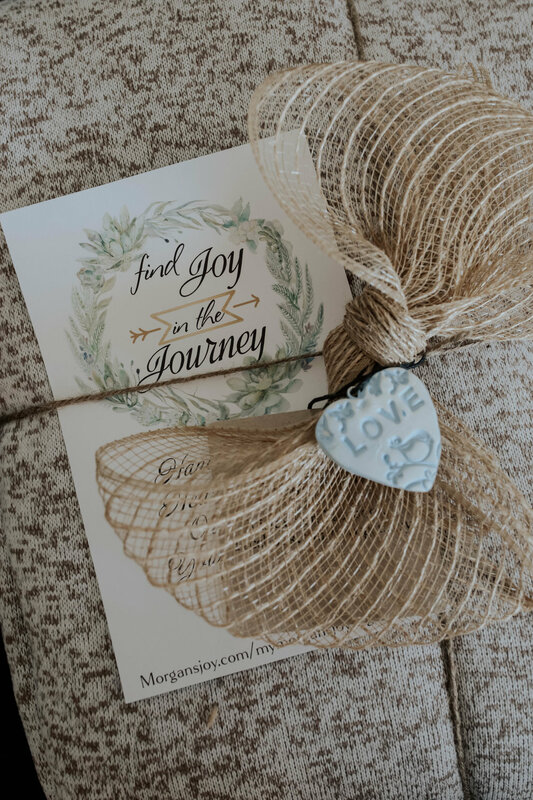 How do I convey to others Morgan's heart and desire for her life in an inspirational and uplifting way, while also encouraging others to live a life full of Joy? We all have hope. We have hope to get a better job, hope to not get a speeding ticket, hope it doesn't rain during a picnic. There are tons of things we hope for, big and small. As a family we all "hoped" Morgan would be healed, although we did not base our "Joy" on that fact. People were always surprised by the amount of Joy Morgan had. She was always hopeful for healing, while striving to live her life with Joy. She was always up for an adventure and never griped about the life she was given. While undergoing chemotherapy, Morgan was able to graduate high school, college, and begin graduate school. Most of her teachers and classmates had no idea what she was going through. Morgan did not wear her circumstance on her face, instead she wore Joy. It was rare to see a photo of Morgan without a beautiful smile (and there were a lot, she was a selfie queen). When I think about what Morgan has taught me, it is Joy. I know I will be reunited with Morgan in heaven one day, but until then I am going to live life here with Joy. Morgan would want nothing less. Morgan would want her family to do everything we could to spread Joy. Morgan's Joy is a tangible way we can carry on her legacy. Every single day, several times a day, I have to remind myself "I can do this... I can go on, I can be Joyful, I can be a good mom, wife, and friend". There are times I want to curl up under a cozy blanket and cry, and I do. Then I feel my precious Morgan urging me to be an example of Joy when circumstances do not dictate that behavior. I pray to God for strength and knowledge to handle this life I have been given. Like Morgan, I can not let my circumstance determine the Joy in my life. While a blanket is not going to solve all of life's problems, maybe it can provide a peaceful quiet time where some of life's issues can be brought into perspective. This is not a magic blanket, it carries no special powers. God is the one with the power. God is the one who can help us handle all of life's troubles. Morgan's Joy came from her hope in Jesus. She believed with her whole heart she would be with Jesus one day with permanent healing. Unfortunately, that day came before we would have liked. Morgan however, is now experiencing the ultimate Joy being united with her Savior. purchase a blanket, as one is donated to someone in need with each purchase. “like” Morgan’s Joy on Facebook. choose joy. choose joy when times are tough, and when times are great, too. choose joy by loving your family, showing kindness towards others, living a life of purpose, and laughing every chance you get. no matter what, choose joy.